International Journal of Pathology and Clinical Research is an open access peer reviewed journal that publishes articles on all aspects of pathology. 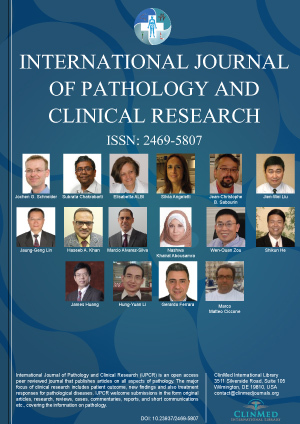 This journal covers varies fields of pathology such as surgical pathology, molecular pathology, anatomic pathology, immunopathology and many more. 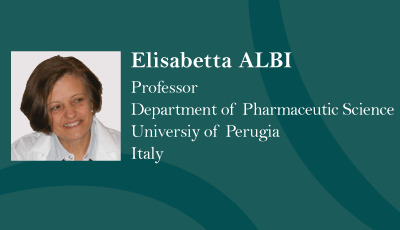 The major focus of clinical research included patient outcome, new findings and also treatment responses pathological diseases. International Journal of Pathology and Clinical Research welcome submissions in the form original articles, research, reviews, cases, commentaries, reports, and short communications etc., covering the information on pathology. All the submitted articles pass through a rapid peer - review process before publication, which ensures the high quality of published work. The "Second Opinion Medical Network"
Liquid Biopsy: A Future Tool for Post Treatment Surveillance in Head and Neck Cancer? Why the Hypocholesteremia must not be Neglected?